Few days ago former Pakistani Captain Imran Khan said in a TV program that Shoaib Akhtar may need Injections to complete 10 overs during World Cup mathches in tough conditions like Sri Lanka. Pakistani Coach Waqar Younis has denied this statement of Imran Khan and made it clear that Shoaib Akhtar is completely fit and he don't need any Injections. Waqar Younis said Shoaib Akhtar is trying hard to improve his Fitness and he tries to give best performance in World Cup because its his last Cup. 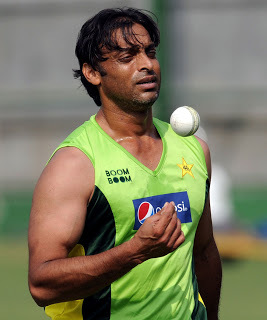 Pakistan is playing its first Warm Up match today with Bangladesh in which Shoaib Akhtar will also be playing.